Born and raised in central Florida, Thane earned his bachelor’s degree in environmental studies from Rollins College in Winter Park, Fl., and his master’s degree in wildlife ecology from the University of Michigan School of Natural Resources. He is also a graduate of the Strategic Perspectives in Nonprofit Management program at the Harvard Business School, as well as the first National Education Leadership Institute sponsored by WWF and Disney. 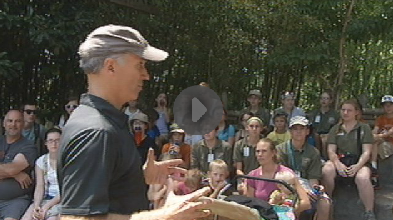 Zoo Director Thane Maynard is the 90-Second Naturalist! The 90-Second Naturalist has covered some pretty obscure & interesting topics, such as… Gender Bender Bugs, Owl Cell Phones, New Peccary Discovered, Turkeys & T-Rex, Fruit Eating Carnivores and Greater Asian One Horned Rhino! Thane Maynard has written and narrated thousands of 90-second audio segments since 1987 and hasn’t even come close to running out of things to say! 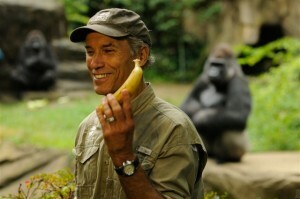 Director of the Cincinnati Zoo here!